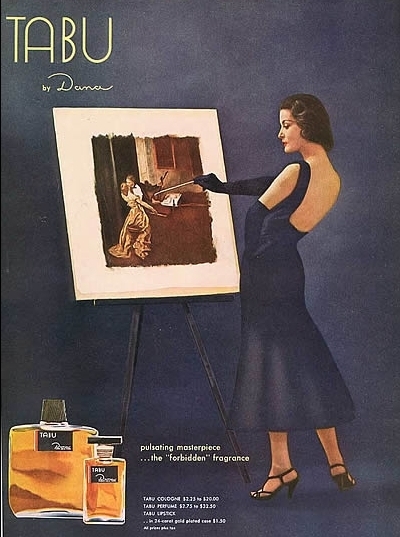 This year marks the 80th anniversary of Dana Tabu, a legendary fragrance created in 1932 by perfumer Jean Carles. Tabu was complex and innovative, and it gave us a whole generation of oriental fragrances that were unabashedly sultry and rich. The original included notes of bergamot, lemon, basil, tarragon, jasmine, lily of the valley, rose, ylang-ylang, heliotrope, patchouli, oakmoss, musk, benzoin, and vanilla. This September Dana will introduce a new limited edition relaunch of Tabu called 1932 By Tabu. It was reochestrated by perfumer Brett Schlitter as a softer, spicier version. 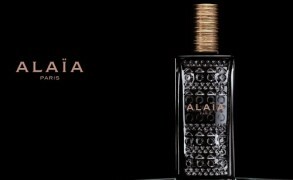 It will include notes of bergamot, lemon, basil, jasmine, mimosa, rose, ylang-ylang, cinnamon, nutmeg, heliotrope, sandalwood, moss, amber, musk, and vanilla. With Jean Patou, Balmain, Molinard and Jacomo busy relaunching their classical collections, it’s also good to see Dana trying to resuscitate Tabu. Even if the new version will be less animalic and smoldering, Tabu deserves more attention. Suzanna: My mother told me that Tabu was all the rage when she was in college in the early 1950s. With a few other additions like skunk-streaked hair and a bright pink lipstick, it is easy to form a picture of the coed of that era. I was amused to think of one of those freshman survey classes, the gigantic ones, filled to the rafters with the scent of Tabu. Victoria: A good oriental that doesn’t feel like it has been put on a diet is my idea of fun perfume too. I hope that it will live up to our expectations. Victoria: It’s been changing over the years, but the version from the 60s is quite decent and is close enough to the original. annemariec: I’ve managed to accidentally discard a few perfumes in my time (house moves and so on) but Tabu is the only one I have deliberately put in the bin. I mean, it’s a bit like putting a book in the bin – it’s just not something you DO, is it? Well, I did. Tabu was HIDEOUS. This was Tabu I bought for $7.95 about two years ago. I’m very willing to believe that the original was marvellous. Victoria: I don’t blame you! The quality of Tabu has been plunging lower and lower over the past twenty years. Ariadne: Uh oh… I’m in trouble! I love my tiny vintage bottle of Tabu. My little vial of nitroglycerin, my cheapo slummy habit maybe a bit like craving deep fried Twinkies? LOL ;+) Looking forward to this latest version. I also LOVED Dana’s Ambush and wore that daily in high school. Flora: I zeroed in on what you said about Jean Patou, Balmain and other houses relaunching their classics – I did not see that news, but it would be fantastic! Is there recent press about these?